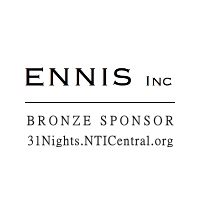 NTI is proud to announce ENNIS Inc. as a Bronze Sponsor in the upcoming 31 Nights of Light Event at the Prudential Center in Boston, MA on December 3rd, 2016. The event honors NTI in their achievement in Placing Americans with Disabilities back into the workplace over the past 20 years. The event free and open to the public features a wide range of presentations for all. I believe people with disabilities deserve the same opportunities for employment as those without. - Barbe Ennis, President of ENNIS Inc.
National Telecommuting Institute (NTI) announces ENNIS Inc., an elite talent agency representing styling and production services, as a Bronze sponsor at NTI's 31 Nights of Light Event. The event honors NTI and their achievements in placing Americans with Disabilities back into the workplace. The event will occur at the Atrium at the Prudential Center in Boston, MA on December 3rd, 2016 between 4:30-7:30PM. ENNIS Inc. provides a host of visual solutions for world-class clientele such as Homegoods, New Balance, Reebok, Converse, Boston Magazine, Dunkin Donuts, Hilton Hotels, Chase Visa, and Verizon. When President of ENNIS Inc., Barbe Ennis asked why she supported the event, she stated, "I believe people with disabilities deserve the same opportunities for employment as those without. In the end, we are all human and need to be treated as equals." On the United Nations International Day of Persons with Disabilities, individuals will be showcased as equals. The celebration features keynote speeches from 2016 Team USA Paralympian Silver Medalist, Sophia Herzog and International Professional Basketball Player and founder of the Ryan Martin Foundation, Ryan Martin. In addition, a collective demonstration of music, art presentations, book signings, and presentations by dignitaries will highlight the event. 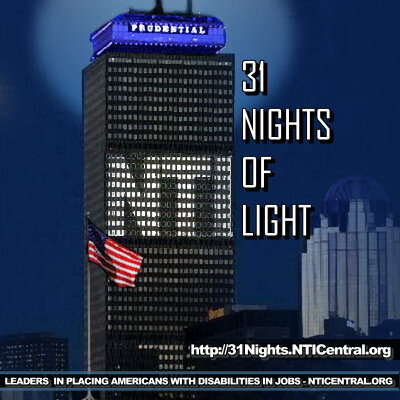 At 5PM, the Prudential Building will be lit in the colors of NTI. Free and open to the public, the event is also open to the media. Further details are on the 31 Nights of Light website at http://31Nights.NTICentral.org. 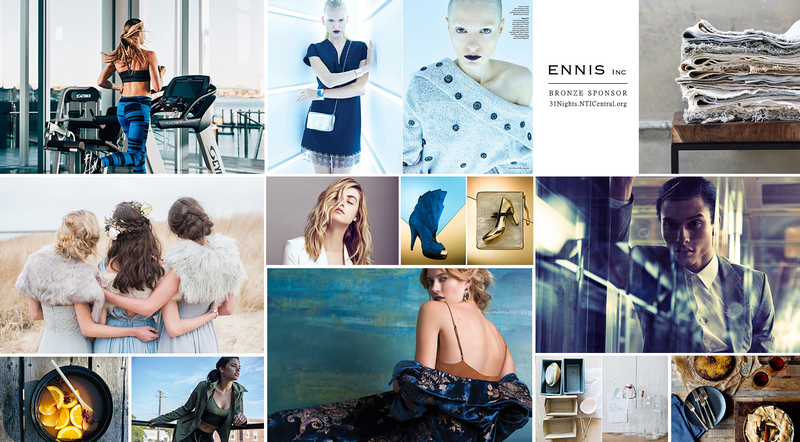 ENNIS Inc., is a bicoastal agency representing talent in the fields of prop, wardrobe styling, interiors, food styling, makeup, hair, and production services. ENNIS Inc. provides highly skilled and dedicated professionals for service on photo shoots, broadcast media production, e-commerce and special events. National Telecommuting Institute, NTI was founded in 1995 as a 501(c)(3) nonprofit organization, NTI pursued a mission to identify and develop work-at-home jobs for home-based Americans with a disability. Since that time, NTI has successfully provided trained work-at-home employees to some of the largest U.S. government agencies, Fortune 500 companies and to smaller businesses to outsource and expand their customer service and technical support operations. Visit www.nticentral.org/learnmore for more information about how NTI assists Americans with Disabilities.